India and China share a close trading relationship. China is the former’s biggest trading partner. In fiscal year 2016-17 (Apr-Mar), the total trade between the two countries stood at $71.5 billion, according to data from Ministry of Commerce, India. 16% of India’s total imports for the year came from China. China is also the country with which India maintains its largest trade deficit. 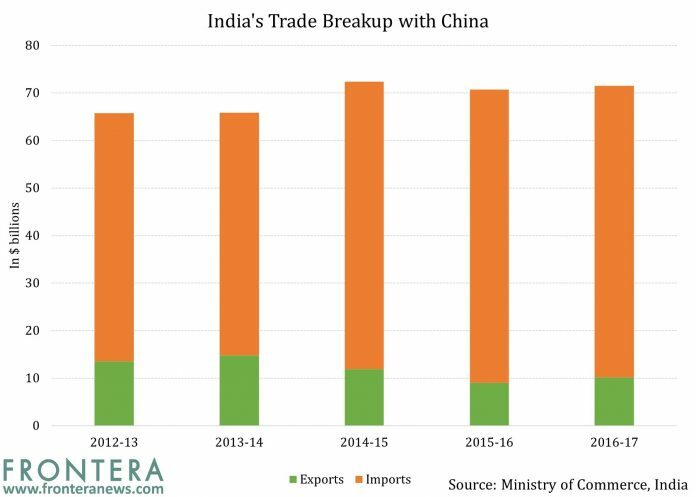 In FY 2016-17, India’s trade deficit with China had stood at $51 billion. Its second and third largest trade deficits were with Switzerland and Saudi Arabia which were $16.3 billion and $14.8 billion respectively. Lately, though, it is the brewing conflict between the two nations which has made headlines. Armies of both nations are in a near faceoff situation in Doklam. Amid claims and counter-claims of troop buildup and retreat, one thing is for certain, the path to global economic leadership for China cannot go through conflict. For China, the opportunity for a shift in the global economic paradigm brought in by the conservative attitudes of developed nations regarding trade and labor movement, comes along with the responsibility of maintaining calm in precarious situations, acting as a mediator instead of a perpetrator. Strained relations with India – a geographic neighbor, trading partner, and an economic might in its own right – can not only put economic pressure on the country, it can show it in bad light as far as investments are concerned: not a savory proposition for China which intends to at least share the mantle of a global leader with the US. This developing conflict with India, coupled with concerns of nations which have signed up under the Belt and Road Initiative (India is not one of them) regarding falling into a debt trap because of the terms of loans being provided, do not bode well for China, and can actually be counterproductive to the initiative. 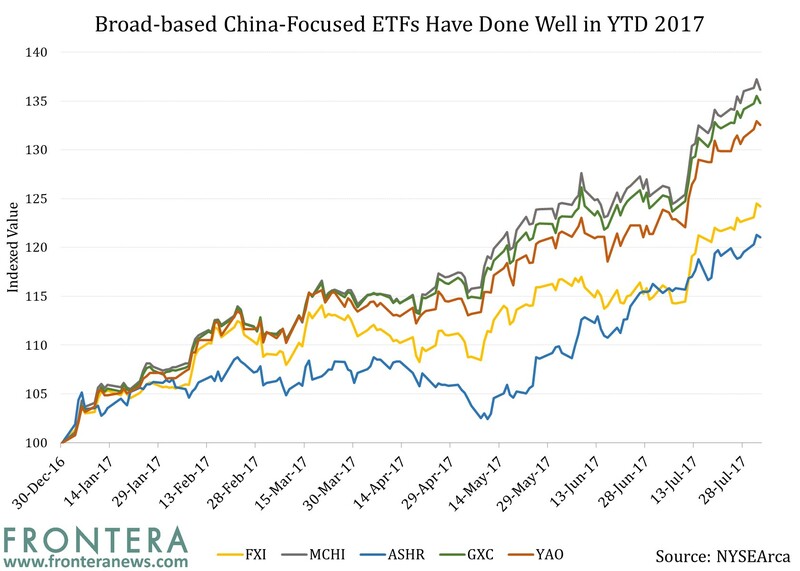 But interestingly, the First Trust Chindia ETF (FNI) has outperformed all of them, returning 39.1% in YTD 2017 until August 2. 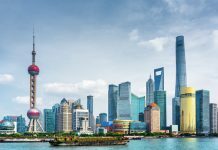 India and China are in a position to form the fulcrum of global economic growth in the decades ahead, as this series shows. 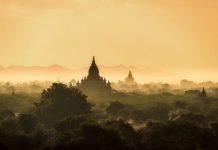 But taking the road of conflict or financial arm twisting will create significant roadblocks for China in attracting investment interest, even from its allies, even though these may be beneficial in asserting its position as a dominant force in the short-term. Previous articleFire And Fury Or Geopolitical Flatulence?